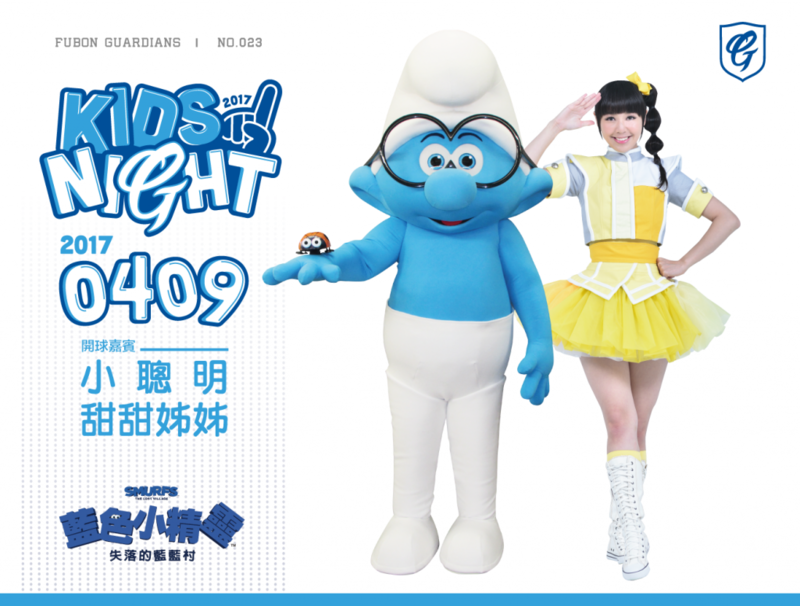 Fubon Guardians have partnered with the upcoming family movie “Smurfs: The Lost Village” for their 2nd theme event “KIDS NIGHTS” at Xinzhuang stadium on the 8th, 9th of April. Apart from Smurfs, the popular hosts from Fubon’s children’s TV station will also be at the game to entertain the young fans with song and dance. As always, there will be entertainment outside the stadium throughout the weekend event cater to families with children. A new collections of Fubon Guardians kids merchandise will also be available for purchase that weekend.